According to recent quarterly filings from Amazon, revenue from advertising is growing like crazy. The reason why may seem obvious but there are a few underlying micro-economic reasons why Amazon’s advertising revenue will grow to outpace that of Facebook and Google. Amazon ads continue to eat up more page real estate. 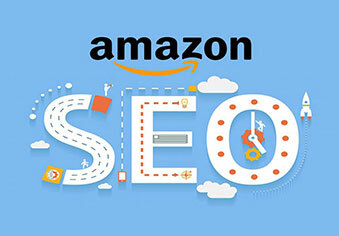 The biggest reason is the fact that Amazon’s ads directly affect the organic rankings on their website. 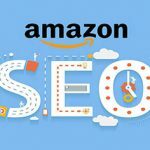 What sets Amazon apart from other platforms is the ability to influence your organic rankings and exposure on the site with PPC ads. 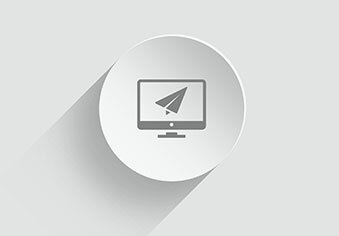 This means, the more you pay, the better optimized your ads, the better your product will rank. The two huge ranking factors AMS (Amazon Marketing Services) affects are Best Sellers Rank and conversion rates. The strategy for new products on Amazon is to break even or possibly lose money in order to improve your rankings. You can also try getting those precious first few reviews this way but we recommend running ads after getting a review so you can have a better converting product listing. As Amazon grows its market reach, more and more people will be competing for ads which makes bids higher and thus more revenue for Amazon. The next, least obvious reason is the diversification of Amazon’s products. Their are advertising opportunities in their app store, prime video, Pantry/Fresh, and even the potential for advertising with delivery. 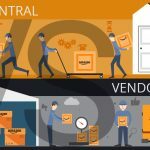 Let’s say you want to rank your product or content higher on these platforms, Amazon has the potential to commoditize rankings and exposure similar to their marketplace ads. This happens on competitor app stores currently so it’s a matter of time before it happens with Amazon. Amazon is still a pretty U.S. centric marketplace but it’s expanding internationally at a rapid clip. They are attacking the European market with force and soliciting sellers to publish their products abroad. 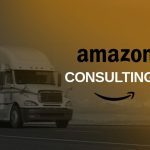 It’s enticing since current sellers are likely looking for new revenue streams as competition on Amazon.com gets stiffer. Look for Amazon to focus going further abroad in Asia as they are already creeping into Australia and South America. Chinese investment into Amazon is unlike any other platform… more than Google and Amazon by my calculations. I ran some numbers (see chart) and it looks like Chinese marketing spend on Amazon is the third highest among all U.S. platforms ($2.5 Billion; AdAge). I’d like to caution that when dealing with Chinese statistics, it’s difficult to know you’re getting accurate numbers but anecdotally, I see the most interest in Amazon from Chinese corporations. AdAge also says Facebook is the highest digital marketing spend US marketing spend. Surprisingly, Google comes in 2nd with $3.8 Billion (according to DigitalInAsia.com) in advertising spend from China. All in all, I wouldn’t be surprised to see Amazon get bigger and bigger. They are uniquely positioned to get more advertising revenue as well as be at the forefront of the autonomous vehicle revolution. If you’re already advertising on Amazon, look for it to get harder and harder to find great ROI. This stage in the advertising life cycle isn’t as mature and difficult as Google Adwords but I would give it another year or two before it’s equivalent. Make hay while the sun shines, Amazon advertiser!